For a place explored, surveyed and ravaged by pastoralism, mining and smelting; overrun by sheep, camels, donkeys, rabbits and dingoes; and more recently under threat from an avaricious government looking to sell off uranium mining rights, Arkaroola Wilderness Sanctuary is looking mighty fine! That’s due to the extraordinary Sprigg family* – visionaries, eco-tourism pioneers and explorers – who bought this once run down sheepstation in the 1960’s, rehabilitated it and turned it into Arkaroola Wilderness Sanctuary and tourist resort. Everyone who visits this unique and amazing place in the remote Flinders Ranges of South Australia owes the Spriggs a BIG thank-you. Visiting Arkaroola is a wilderness experience like no other – the adventures came thick and fast on our 2013 3 day-4 night visit. 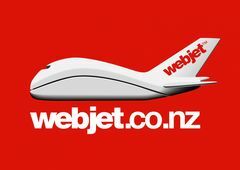 Even without doing all the tours, 4WD tracks and scenic flights! But even without those inducements, I’d return to Arkaroola in a heartbeat. Here’s just SIX of the many reasons why! Just getting to Arkaroola Wilderness Sanctuary is an adventure. We took the easy way. 600 km (and around 6 hours) north of Adelaide to Leigh Creek and Copley, where we left our camper trailer languishing in the Copley Caravan Park (with it’s own Bakery – YESSSSSS!). From Copley, it’s a mere 130 kilometres (and a 1½ -2 hour drive) west to Arkaroola on an all-weather gravel road. The hard way? A 300 km dirt track north-west from Yunta, itself considered a remote staging post en route from Adelaide to Broken Hill. Or alternatively, 180 km of dirt south-west of the Strzelecki track, itself a remote and primitive track through the otherwise virtually trackless reaches of South Australia’s north! You get the picture. Our chosen route wound through pastoral properties, the Nepabunna Aboriginal Land and Indigenous communities before entering the magnificent ranges and gorges of the Vulkathunha-Gammon Ranges National Park, well worth a visit in its own right. Maybe after we’ve upgraded our car! The final 30 km scenic stretch from the National Park’s edge, through the Muntalinna Valley and into the sanctuary and Arkaroola Village is a foretaste of the geological fantasy that awaits! It’s amazing how far we got with just a Subaru Outback AWD and a bit of clearance. Not that new adventures were ever far away – with Arkaroola’s amazing array of mountain ranges, rocky landforms, springs, creeks, historic sites and hiking trails, a short drive in any direction brings new vistas and terrain to explore. BUT … some visitors to the sanctuary disregard the impressive scenery and unusual geological formations because driving the Four Wheel Drive tracks takes ALL their concentration! When collecting the key to the locked gate at the start of one drive, the friendly staff will tell you that if you get through the gate and think ‘oh s**t’, just bring the key back for a refund! For those of us less accustomed to experimental driving, just being a passenger is scary enough – especially on the most extreme track of all – the Ridge-top Tour (see below)! Unless you’re lucky enough to have Doug Sprigg as your guide and driver! Before setting up the sanctuary back in the 60’s, the Sprigg family* achieved the first Simpson desert crossing by car – so a few (make that a LOT of) stretches of rugged ‘road’ are just another day at the office. But for those of us with a more sedate background? What the heck! You see more when you’re on the walking tracks anyway! Perhaps one day in the distant future, Pilchard and I will accept our self-identified ‘World’s Slowest Hiker’ status. When we do, we’ll know to double – or even triple – estimated hiking times by factoring in a LOT extra for resting admiring the scenery, bird watching and taking photos. If we’d accepted our fate the day we hiked the 6.8 km Barraranna Gorge trail, we’d have taken our lunch, but when we set out on what was estimated to be a 3.5 hour hike, we conveniently ignored the historical evidence that should have warned us it’d take a LOT longer! For us, anyway! One of the best short (ish!) walks in Australia – yes, that’s MY assessment – the trail passes through an astonishingly varied landscape with interpretive signs explaining the geological features of interest. But signs pointing out the scenic features of interest weren’t required, so several hundred photographs (at rough estimate) later, we reached the gorge’s stunning rock formations, and the dramatic rocky walls surrounding Bararanna Waterhole. Exploring this amazing gorge took even longer. But finally, starving, we completed the hike and returned to the car in double quick time – by our standards! Although that probably means ‘normal’ time for everyone else!! When we do the walk again – and that’s SO going to happen – we’ll carry our lunch, start a lot earlier and take a REALLY long time! As a counterpoint to the relentlessly dramatic rocks, strong colours and striking shapes of Arkaroola, its springs are serene, restful and shady. But that doesn’t mean they don’t have their own wild and rugged beauty, if I may allow myself the indulgence of a rare double negative! They’re surprisingly plentiful for such an arid area. North-west, near the old Copper Smelter established in 1870, Bollabollana Spring is a glorious tumble of rocks and water which, despite the dead emu in one of its pools, kept us rock-hopping, photographing and (live) bird watching for hours. The Indigenous rock art at Stubbs Waterhole just off the road en route to the Echo Camp Backtrack makes this an intriguing rest (and photography!) stop on the Barraranna Gorge Walk – and yes, it’d have been a great lunch spot too! And to the north-east, Barraranna Waterhole’s rippling rock is a dead giveaway to its sea-bed origins and the sheer cliffs and walls surrounding the extensive rockhole make it one of Arkaroola’s most scenic spots. Radon bubbling through hot water makes Paralana Hot Springs HOT in more ways than one! The world’s only naturally radioactive spring is a 30+ km drive from the village, and although the extra clearance our Subaru AWD has would have made the 4WD track accessible to us, our time ran out. SO … my chance for a world exclusive will have to wait until next time! The sun blazed out of a sky so fiercely blue it blunted the rocky edges of the astounding rock formations, rugged mountains and sheer drop offs. And that was just the road. An extreme 4WD driving adventure through remote wilderness to the extensive panorama from Sillers Lookout over the Freeling Heights, and across the plain to Lake Frome, it’s no wonder Arkaroola’s world famous Ridge-Top tour to Sillers Lookout has so many takers. Although I hadn’t counted on the opportunity to get THIS close to total strangers, or having an extreme 1½ hour workout without actually moving from my seat! 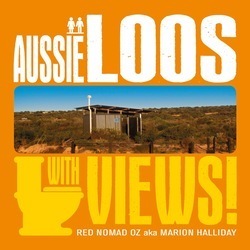 With scenery so staggeringly and gob-smackingly spectacular, I hardly noticed the absence of what would surely have beeen Australia’s – if not the world’s – most scenic public toilet when we reached Sillers Lookout at afternoon tea time! Go easy on the drinks, girls – it’s a LONG way back to Arkaroola village! The Ridge-top Tour is an adventure so awesome it deserves its own post! Luckily, I prepared one earlier! Read all about my adventures on this extraordinary tour in Ride the Ragged Ranges! And when I get back to Arkaroola, you’ll be reading about it again, because I’m sure once isn’t enough to appreciate this rollercoaster of rough road, RED rocks and rugged ranges! If you don’t know your schist from your sandstone, your granite from your gneiss or your copper from your calcite, that makes you a lot like me. But don’t let that stop you being dazzled by the colours, dramatic rocky outcrops and – even to my untrained eye – the incredible variety of mineral matter. 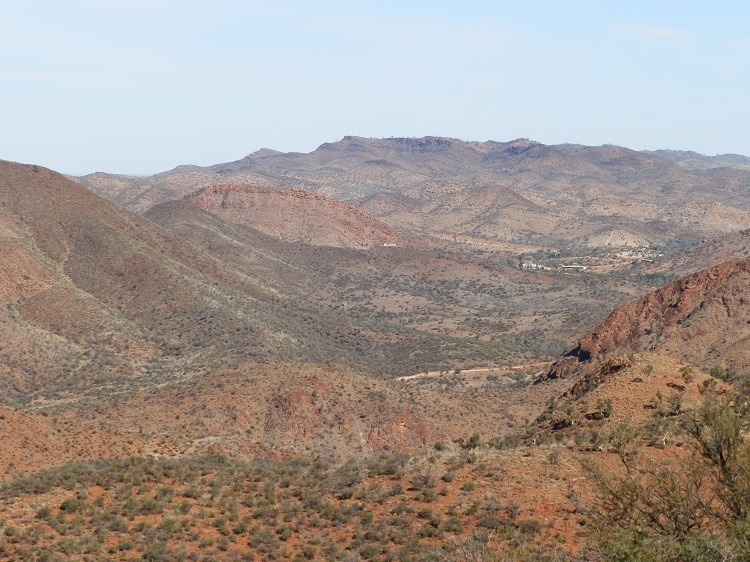 From the many-layered Griselda Hill behind Arkaroola Village, to the colours of the Ochre Wall, the craggy Pinnacles and tortured rocks of Barraranna Gorge; the awesome Freeling Heights and the Jasper Twins straddling the road, Arkaroola’s rocks ROCK! And although the creek bed where I crept away to answer natures call on the way back from the Ridge-top Tour wasn’t an official public amenities site, it formed the coolest conveniences EVER with an array of crystals that quite distracted me from my purpose! If I’d been 5 10 20 30 years younger I’d have become a geologist on the spot. As it is, I’ve become a Aussie advocate travel blogger and chronicler of dynamic dunnies instead, which qualifies me to approach the subject of Aussie travel with an open mouth. 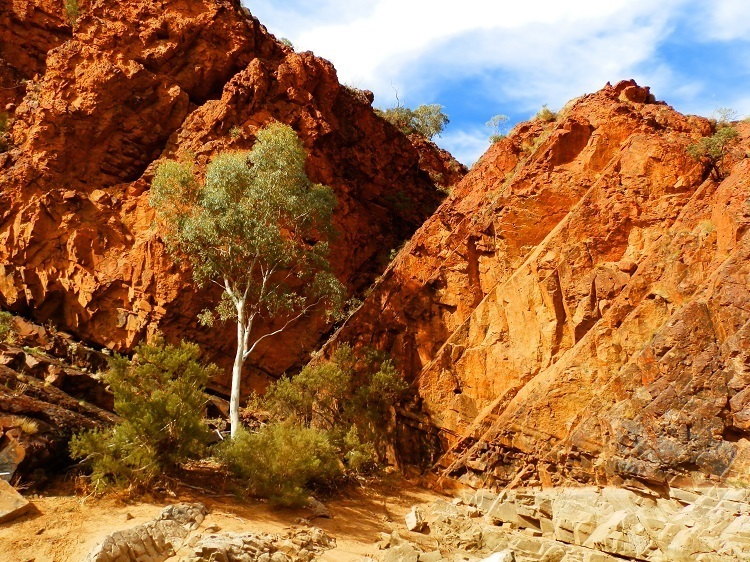 And the marvels of Arkaroola are enough to keep your mouth wide open – Australia doesn’t get much more amazing, awesome and adventuresome than Arkaroola! MORE Arkaroola Photos on Flickr HERE! Guess one time I have to overcome my bad adventure in Flinders Ranges and give this trip a go! Iris, the colours are AMAZING! A bad experience this time means a GOOD experience next time! Doesn’t it???!! Stunning photos; what a place! We are so lucky to have the diversity that we do! Yes, Aaron – we ARE lucky! Arkaroola isn’t just amazing, it’s a real 4WD mecca! But you’d know that already, right?! A truly amazing place for sure, just a pity I live in the uk . I would be out there every weekend camping if I lived there. You write a great blog Red Nomad I enjoyed reading that…. It’s the most awesome place I’ve been in Australia – and that’s saying something! But keep watching – there’s a LOT more of Awesome Australia I’ve got to show you!! I m SO jealous. This is one place that I MUST see. I have been to Flinders Ranges and Wilpena Pound and didn’t get to Arkaroola but I have not given up trying. It just appeals to me so much as I LOVE the Outback. Lucky you. Amazing place. Ann – This is one of the most unique and amazing parts of Australia, and I’ve seen a LOT! I’ve only spent 4 nights there, but I’m hoping that’s just the beginning! Maybe I’ll see you there someday??!! What a fabulous area. Must put it on my bucket list. It’s amazing, Diane! There’s SO much staggering scenery – as long as you LOVE the Outback! In some photos it looked like the ranges near Wyndham in WA and the Sillers Lookout photo reminded me of the Bungle Bungles. The colours are magnificent! This is definitely one place I’d like to see and photograph. Arkaroola is kind of like all the best of the other Outback OZ tourist hot spots rolled into one neat package! If you do ever go there Kathy, take a LOT of memory cards!! Another place I would love to visit, there are so many wonderful places in this country. Arkaroola is one of Australia’s BEST destinations – in my opinion, of course! But you’re right Jo-Anne – with so many, it’s hard to know where to start! What an amazing place! Too bad that it’s 12,000-odd miles from me. So I’ll just have to content myself with looking at your splendid photos. It’s THE most amazing place in Australia, in my opinion! The photos are good because it’s impossible to take a BAD shot of a place like this! Glad you enjoyed it – thanx for dropping by!